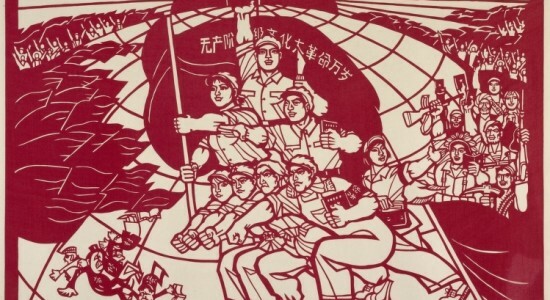 A review of: China After the Sino-Soviet Split: Maoist Politics, Global Narratives, and the Imagination of the World, by Zachary Scarlett. In this dissertation, which covers the period from 1962-1972, Zachary Scarlett provocatively argues that “China’s Communist Revolution did not occur in a vacuum… it was a global event” (p. 8). Historical scholarship on China in the 1960s tends to highlight China’s domestic struggles and emphasizes an increasing isolation from the rest of the world from the Sino-Soviet split in 1962, especially during the early Cultural Revolution, until the “opening up” of the country in 1972. This long-standing narrative might lead one to presume that the rest of the world simply had no influence in 1960s China beyond high politics. Much of the extant literature in the field of Chinese history on the early Cultural Revolution, for example, traces Red Guard factions and the growing cult of Mao as internal struggles. Indeed, the Cultural Revolution has tended to be treated as “a hermetically sealed event” (p. 33) in modern Chinese history. Scarlett disrupts and complicates such standard narratives by focusing on the cultural production and domestic distribution of “global narratives” in 1960s China. These were “the various ways in which the CCP and the Red Guards packaged and disseminated global symbols” (p. 13) through propaganda. In these “the world” itself was treated as a culturally malleable symbol. Although numerous scholars have tackled China’s relationship with the world in this period, they have primarily done so by tracing high politics, the effect of certain domestic policies on Chinese foreign policy, rather than looking at worldviews produced within China. Mao, the CCP, and Red Guards often engaged in the creation and circulation of global narratives for the purpose of promoting radical Maoist politics, exerting power, and making claims of legitimacy during mass campaigns. By imagining and imbuing “the world” with meanings that “conformed to a Maoist ideology” (p. 242) and framing “global events in a familiar Maoist context” (p. 13), they sinified the world for domestic consumption. In other words, they used Maoist political and cultural symbols that would have been familiar to the average Chinese citizen in order to produce a world that was both “global and Chinese” (p. 11). Informed by Rebecca Karl’s work on Chinese intellectuals at the turn of the twentieth century, Scarlett notes that this production of global narratives indicates an updated but continuing fixation among Chinese officials with finding “meaning of the world and its place in China” in the 1960s (p. 34). Global narratives produced in the 1960s were Sinocentric, Maoist, anti-revisionist, and anti-imperialist, and shaped by other events of the 1960s. They reached the Chinese public through text and political speeches, official and rigid hierarchies of categorization for labeling foreigners, political protests and mass meetings, and by official “recording and archiving any instances of support among foreign leftists” (p. 16). Contemporary political language often incorporated global narratives to “demonstrate the importance of Chinese politics and the centrality of Chinese society within the global revolution” (p. 243). Scarlett argues that these global narratives thus played a significant domestic role and show in fact that “the world was a part of China” (p. 10). Scarlett is careful not to take his sources at face value but rather interrogate the nature of their creation and purpose, recognizing that global narratives were official discourses created with specific agendas and were often “exaggerated, manipulated, or even imagined” (pp. 15-16). Following Ann Stoler’s work on archival creation, he treats historical documents as “historical sources in-and-of-themselves” (p. 31). Informed also by Michel Foucault’s work on knowledge production and that of various sociologists, Scarlett traces how global symbols were chosen, with what meanings they were imbued, and how they were framed in Sinocentric, Maoist narratives in order to influence both social movements and mass political action. Officials and Red Guards both took great pains, for example, to record testimonials from foreigners in official reports and newspapers that asserted China’s (and especially Mao’s) importance around the world (pp. 18-19). These kinds of sources need to have both their content and method of construction taken into account. The very fact that such sources still exist in PRC archives, libraries, and museums shed light on how the CCP continues to mediate a specific, sinicized worldview through the use of global narratives. The dissertation is composed of five chapters that each traces specific global narratives. Chapter 1, “Ordering the New World: The PRC and the Sino-Soviet Split in the Early 1960s,” covers the development of a new post-Soviet worldview for China that matched prevailing political attitudes in the PRC in the wake of the Sino-Soviet split. Scarlett argues that the CCP “quickly abandoned Soviet modernity in favor of a more Sinocentric and Maoist modernity” (p. 47) that viewed the Soviet Union as revisionist and imperialist, while envisioning China as the world’s communist leader. CCP leaders had to convince the Chinese public that this was the new reality, in order to retain their legitimacy – something they felt could be best accomplished by demonstrating that “mass campaigns in China had global repercussions” (pp. 47-48). Officials then created new, Maoist taxonomies that “recategorized, remapped and reordered the rest of the world” (p. 48). Scarlett traces the incorporation and embedded textual meanings of these taxonomies in several government-produced reports on students studying in the PRC in the mid-1960s, celebrations and ceremonies held for foreign holidays in 1964 and 1965, and in reports of a 1965 Japanese delegation visit. In a 1964 report on foreign students issued by Beijing University, for example, Scarlett shows how officials divided and categorized the students according to their home country’s level of support for the PRC: there were those students coming from countries who had been “deeply affected by revisionism,” those “slight affected” by it and those “unhappy with” it (pp. 55-56). Reports also often identified certain groups, such as North Korean students, as more reliable than others, such as Cuban students. The celebration of certain foreign holidays also followed a hierarchy dependent on a country’s level of PRC support and provided the Chinese people with “the necessary tools to understand the outside world and to comprehend the dangers of revisionism” (p. 59). In the case of the Japanese delegation visit, Scarlett looks at how it was framed, recorded, and archived. Officials took great pains to record how Japanese delegates praised Mao Zedong Thought and the CCP, for example. In this way, officials sought to “demonstrate that the PRC was the last great revolutionary state in the world” (p. 69). In Chapter 2, “‘The Lips and the Teeth’: Chinese Politics and the War in Vietnam,” Scarlett argues that the war in Vietnam became the deepest and most lasting symbol in everyday PRC politics of the 1960s, a “shibboleth for radicalism and for China’s post-Soviet worldview, especially during the Cultural Revolution” (p. 43). The war was the “least abstract” (p. 81) foreign event because of its proximity to China and the actual movement of Chinese people and personnel to and from Vietnam. The global narrative surrounding this war sparked radicalism, especially among Chinese youth who identified themselves as aligned with other youth around the world. The chapter centers primarily on the ways in which Chinese officials used two anti-war protests held in Beijing in 1964 and 1965 to propagate narratives of Vietnamese support, anti-Americanism, and the threat from the American army. For example, at a 1964 protest in Beijing condemning American imperialism following the Gulf of Tonkin incident, Scarlett notes that the choice of four speakers – a worker, a farmer, a student, and a member of the capital militia – sheds light on how officials attempted to mobilize all levels of Chinese society to be prepared to fight the Americans. The political language employed in these protests also highlights significant political changes that occurred in the space of just one year. Protests and rallies in 1964 focused more on internationalism and ostensibly world peace, but by 1965 the rhetoric turned more militant and focused on class struggle, youth, and Mao Zedong Thought. During the Cultural Revolution, the narrative once again changed. The CCP and the Red Guards, rather than emphasizing China’s support for the Vietnamese people, focused on how the Vietnamese people wanted to see a victory in the Cultural Revolution because it provided an “inspirational model” and its outcome “would determine the victor in Vietnam” (p. 108). In other words, they used the Vietnam War to justify the Cultural Revolution. Global narratives produced by the CCP and Red Guards included, for example, connecting the Vietnam War to other global events, such as the African-American struggle, while simultaneously describing American imperialism as part of the evil capitalist system. In all cases, global narratives of class, resistance, and struggle disseminated during this period presented a worldview in which the Vietnam War was part of a larger struggle against revisionism and imperialism taking place in China and in the world. Chapter 3, “Race, Anti-colonialism, and Civil Rights in China’s 1960s,” sheds light on global narratives related to African and African-American liberation movements. Officials connected civil rights and African decolonization to an international revolution. Even though there was less actual contact with Africans and these movements than with Vietnam, the relationship was “not entirely imagined but was based on a sense of shared colonial past and a feeling of solidarity” (p. 128). Nevertheless, race and racial politics were understood in China within Maoist terms, that is, as part of a larger struggle against capitalism. This chapter oscillates between describing how two groups in the U.S., the Black Panthers and the Red Guard Party of America, imagined a PRC, as well as African and African-American liberation, according to their respective political situations. The result was “multiple and sometimes contradictory global frames” (p. 130) that required deploying global narratives and cultural signifiers familiar to a home audience in each country. In the U.S. this included framing Mao as a leader who had led national liberation, armed rebellion in the Third World, and stood up to American power in Asia However, groups like the Black Panthers never put issues of class before race. PRC narratives meanwhile focused on the importance of Mao and Mao Zedong Thought to African struggle and the African liberation movements. Such narratives were propagated through various means, such as celebrating “African Independence Day” in 1962 (p. 138), and various media, including books, newspapers, and posters. Here Scarlett provides an intriguing look at how global narratives distributed their messages and changed over time. He notes, for example, a poster printed in 1968 that depicts a group of African soldiers collectively reading the Selected Works of Mao Tse-tung, a culturally familiar symbol during the Cultural Revolution, as well as a photograph published in People’s Daily in 1967 of two Africans sitting in front of a photo of Chairman Mao, one of whom is wearing a Red Guard armband that would have been especially familiar to Chinese students (pp. 143-145). Posters printed in the early 1970s, however, replaced Mao and revolutionary radicalism with messages about African development, independence and self-reliance, and Sino-African friendship and solidarity. Rather than necessarily depicting reality, these messages show how Africa became “a framing tool” for Chinese officials that provided “an anti-colonial worldview” conforming to Chinese politics (p. 151). In the case of the U.S. civil rights movement, Chinese officials inundated the Chinese public with images and text about racial injustice and in America, even publishing maps of the U.S. that showed the progression of the movement according to where riots and protests had occurred (pp. 161-162). The final chapter, “National Hero, International Savior: The Global Mao Cult,” describes how the CCP worked to globalize Mao’s cult of personality within the PRC itself. Scarlett argues that Mao simultaneously occupied both a “domestic and global space” (p. 45) in which the CCP worked to portray Mao as globally significant in order to boost his image and influence in Chinese society, and especially during the Cultural Revolution. Scarlett separates Mao’s own views of the world and his cult of personality, which emanated from the upper echelons of the CCP, from the global elements of Mao Zedong Thought, which were more malleable and changed depending on political circumstances. Mao Zedong Thought was often promoted as “an ideology especially relevant to the Third World” (p. 212). During the Cultural Revolution especially, the official press, books, and pamphlets used the world to highlight Mao’s dominant leadership and foster a feeling among Chinese youth of fraternity with youth elsewhere in the world. This included publishing testimonials of foreigners and world leaders on both Mao and Mao Zedong Thought. In one account published in Chinese in 1967, for example, a Mexican youth is quoted as stating that all revolutionaries, in Latin American and worldwide, should study and use Mao Zedong Thought. In this chapter Scarlett also traces the ways in which Mao’s portrayals in Red Guard newspapers often glorified the leader as having changed the world. In these narratives, Mao became “a vehicle for globality” and “the primary example of China’s international significance” (p. 45). With this dissertation, Scarlett offers a fresh perspective on familiar topics in 1960s China which much of the current literature tends to approach purely from the perspective of foreign relations and high politics. He also provides a necessary corrective on much of the extant historical scholarship in the China field that treats the Cultural Revolution, the Red Guards, and the cult of Mao as domestic issues cut off from the rest of the world. By examining the official rhetoric Red Guard movements through the lens of global narratives, Scarlett convincingly shows that the cultural production of such rhetoric was important in serving numerous purposes, such as in providing ordinary citizens with an understanding of China in the world, helping the CCP legitimate its rule, and in mobilizing citizens – and especially students – into action. Northeastern University. 2012. 264 pp. Primary Advisor: Christina Gilmartin. Image: Chinese Propaganda Poster. University of Michigan Library. Permitted for Educational Use.